In recent years, the trend of outsourcing e-learning projects to India is growing fast. Companies across the world are partnering with Indian technology-enabled learning solutions providers to meet their online training needs. This growth is primarily driven by considerations of cost. Various other factors such as excellent ICT infrastructure, a large pool of high skilled online course development professionals, and an outsourcing-friendly legal framework are also playing an important role in making India the hottest e-learning outsourcing destination. Are you too planning to outsource your web-based course development project? How can you make your outsourced web-based learning development project a grand success? Here are 3 important aspects you need to consider. The cornerstone of a successfule-learning outsourcing initiative is well-set, measurable learning development objectives. These objectives help you comprehend the business value of the online course development project. A good understanding of your e-learning development objectives enables you to set benchmarks to measure the success of your outsourced learning development project. For instance, one of the objectives of outsourcing your e-learning development project is to reduce online training expenditure by 30%. You can evaluate the success of the outsourced project by measuring the reduction in the expenditure incurred to train your learners online. Goal of the e-learning course: If the objective of the online course is to provide information to your employees, then the cost can be less, compared to the situation where the goal is to enhance performance. Duration of the course: The duration of an online course will help you define the efforts required to develop it. For instance, if the duration of the course is one hour, you need to develop nearly 45 screens along with the final assessment. As it is a lengthy course, you need to make it more engaging to retain learner attention. You need to come up with at least 8 highly interactive screens. But, if you have five modules of 10 minutes each with a final quiz, the effort is less than a 60-minute course. You can design a learning strategy that is scalable throughout five modules and hence the cost will be reduced. Level of interactivity: The level of interactivity is a key factor in determining the cost of your outsourced e-learning development project. Interactivities play a key role in engaging learners, and as a rule of thumb, the cost of developing an online course is a function of the level of user engagement. An SLA is a very important document that determines the course of your outsourced e-learning project, and therefore, it is necessary to draft a good SLA to ensure the success of the project. You need to clearly specify what you expect from the e-learning vendor. All important aspects such as the project’s scope, desired outcomes, information about key stakeholders and the review process, milestones, and timelines must be written in black and white. Remember assumptions can lead to serious consequences. For instance, a client may assume that he has explained all his requirements clearly to the vendor, while the vendor may have understood nothing. Similarly, a project manager may think that that he has explained all the risks involved in the project, while the opposite may be true. Outsourcing your e-learning development project to an experienced vendor helps you get a high-quality online learning product, at low cost. 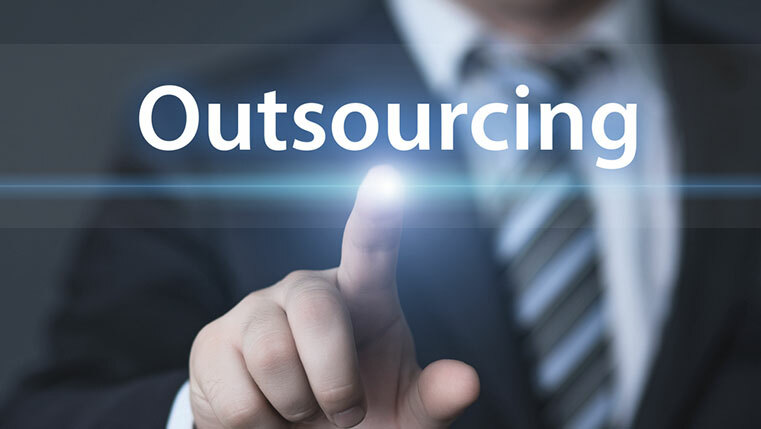 Focus on the aspects listed above to make your outsourcing initiative a big success.